In today’s footballing world, much of the real action is in debate and discussion across social media platforms. Twitter, Facebook and YouTube, to name just a few, have become the home for fans’ views, opinions and knee-jerk reactions across the globe. A new app, Fanfair, dedicated solely to football, hopes to join that list. Shortly before it went live, Fanfair’s co-founder Connor Reddy spoke to Elephant Sport about the app and what he hoped it would add to the existing market. Fanfair is a new live-streaming platform that brings live football news and opinions together to spark discussions amongst fans. It seeks to be a live football community bringing fans from all around the world together to voice their opinions in a live environment with other like-minded fans. One evening watching the same old pundits rambling on Sky Sports, we began to wonder why it was only their opinion getting a platform and yet the average guy has to scramble together a 140-character message and hope not to get lost in the thick of it. Surely the fan on the street had has much of a say as these guys being paid to churn out the same lines week in, week out? What did you use as your inspiration for how Fanfair would work? We looked at a company called Twitch that specialises in video game live-streaming, the reason being because they managed to build a community out of the passion of gaming, instead of just creating another social network or streaming application. They really brought together a community, and that’s what we want to do with Fanfair. They created a medium for true fans to interact with each other over a shared passion but also provide a stage for anyone and everyone to showcase their skill irrelevant of experience. What makes Fanfair unique in this era of social media where football is already heavily discussed across multiple platforms such as Twitter, Facebook and YouTube? 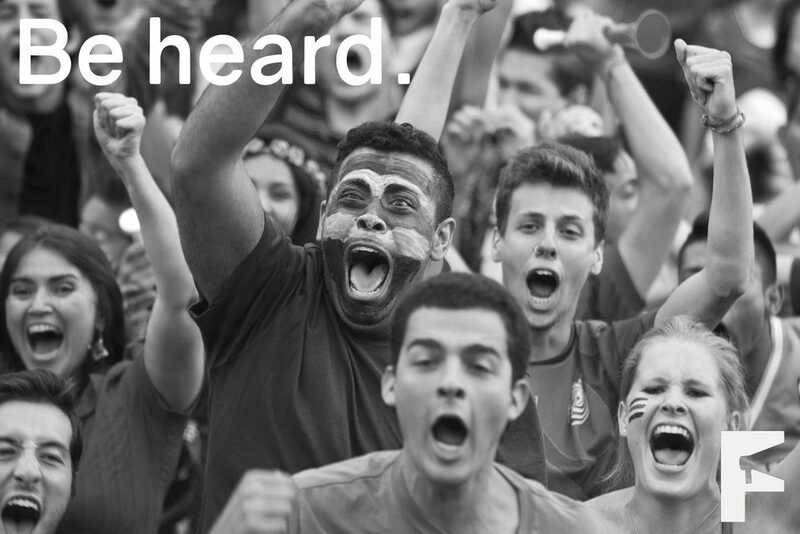 In essence, Fanfair aims to be the sole social platform dedicated exclusively to football fans. On a feature front, our unique audio commenting allows fans the chance to engage with one another like never before on a live-stream. We as football fans ourselves love to have ourselves heard when we’re raising our point to our mates, and this is what we are trying to recreate. Traditionally, people have phoned into radio talk shows to have their say on the game, and we’re trying to simplify that process. We feel by using speech comments, we give passionate football fans the chance to really get across the emotion of what they’re feeling about the final score. What do you aim to accomplish with Fanfair? Ultimately, we want to change the way fans interact with one another and make that a simpler and more emotive process for them to engage with one another. 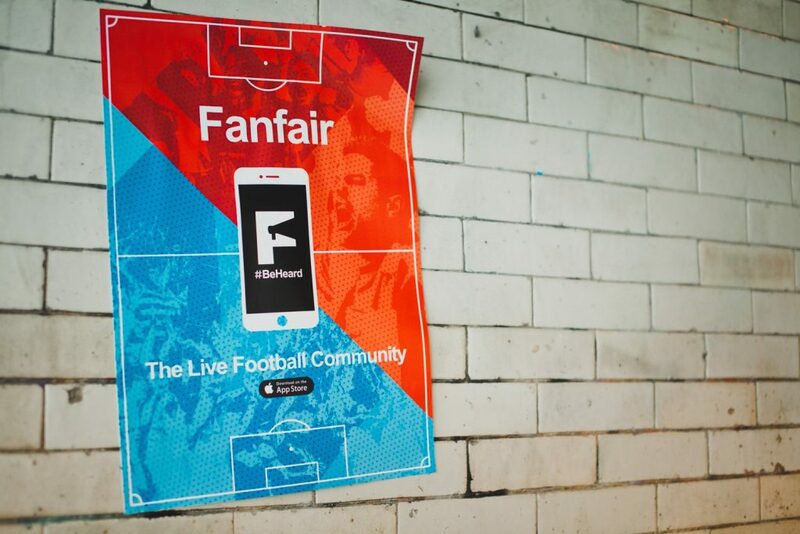 Over the long-term, we want to develop Fanfair into a wider idea that transcends simply a football discussion app. This has the potential to take form in an all-singing, all-dancing sports platform for fans of various sports and develop a fan-led content platform for the digital era that takes over traditional mediums such as radio. With a younger, digital-savvy generation on the rise, our overall vision for Fanfair would be to see it become an innovative and interactive version of sports radio shows, where fans curate the content and have their say on the biggest talking points from the game. Can you tell us more about a couple of Fanfair’s main features? We decided to integrate live news into the app to help stimulate the conversation. A lot of live-streaming apps out there seem to be struggling to answer why to go live. We’re providing our community with a catalyst of live news to spark discussion. Our audio comment feature gives fans the chance to voice their opinion so they can finally be heard. We noticed that all the other live-streaming apps out there focused heavily on the video aspect, whereas we want to place the emphasis on the actual engagement between fans and 140 characters just doesn’t constitute engagement in our opinion. We’ve also implemented a ranking system that rates from: bronze, silver and gold with everyone starting from bronze irrelevant of their external background. The reason for this was because we wanted to allow validation for people’s opinions from other fans but also encourage those who want to build their own profile within the community. What would you say is your favourite feature or aspect of Fanfair and why? Definitely our audio feature, as we really want to be able to capture the real emotion that someone’s feeling when they’re talking about their team or a topic that resonates with them. Why should football fans download Fanfair? Football fans should download Fanfair and join the community because they’ll finally have an interactive way to discuss with fellow fans about the game they love. We’re taking the football discussions you have with your friends and connecting you to other people who share some of the same ideas! If you’re sick of hearing the same old pundits using the same old clichés, then Fanfair is for you! Heated football discussions can sometimes provoke the wrong kind of passion. People can go from simply disagreeing with a point someone’s made to eventually insulting or even threatening them. How does Fanfair plan to combat this and, ultimately, keep the environment a civilised place? We strongly believe that the platform needs to be real and authentic. For that to be the case, we have to allow people with differing views to interact with one another. We have our own moderation team who will block and delete content that we feel has crossed a line, and we are clear that we do not accept abuse and threats from one user to another. Fanfair was born from the passion of football and we want to harness that to unite people and accept that you can disagree with someone else’s view, but that doesn’t mean you can’t respect them. Much like with any social media platform, ultimately it comes with the territory that you are going to have to moderate the content. We allow users to block others and report inappropriate content and are looking at measures to put in place going forward, which will put the emphasis on users who are constantly engaged with the platform to moderate the community as well as the team in the back-end. Where can those interested in trying out Fanfair download the app? You can join the community via the iOS App Store and Google Play Store. We’re always looking to improve the app so it benefits our community, so feel free to send us feedback at team.ff@fanfair.co as we’re always willing to listen to new ideas and opinions!